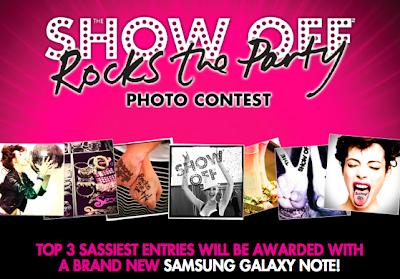 Upload a photo created to showcase how "The Show Off Rocks the Party". Your Entry may or may not include a La Senza product, but should be a creative and fun expression that represents or illustrates how YOU rock the party. Most creative photo & caption wins. Visit La Senza Facebook fan page for more details. Do you know Astro is giving away 5 iPads everyday? Last 2 weeks!